Welcome to Chocolate Friday! You made it - the week is almost over. Rewardeth thyself with chocolate! 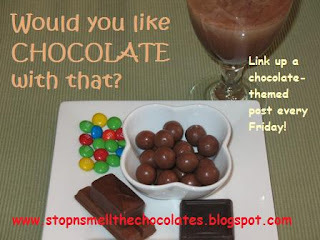 Did you see all the chocolatey goodness linked up last Friday? I know you've got more! Get those posts ready to link up! 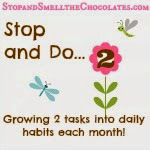 I signed up a while back with Chocolate.com to "blog for chocolate" (hello - dream job). The first chocolate they sent was melted (*sniff* - poor truffles) by the UPS man, though probably not intentionally I suppose! Who keeps a box of chocolates in a hot truck for 13 hours when it's over 90 degrees out?? Sigh - I know by the spoonfuls of melted truffle that it would have been fabulous in original condition! So those lovely peeps at Chocolate.com sent me more chocolate! This time, it was mostly not melted! 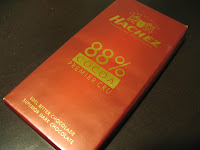 There was a variety of chocolates and hubby generously volunteered to help me with the tasting. This chocolate bar was nice, smooth and creamy, plus it's packaged so cleverly. Click the pic to enlarge and read the humorous box! Great chocolate in great packaging! How can you go wrong? 2 thumbs up! 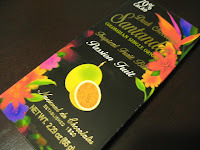 This chocolate bar was a more bitter chocolate, but the passionfruit added a nice little crunch and just the right amount of sweetness without overpowering the chocolate flavor. Another 2 thumbs up! This chocolate bar is for serious chocolate-tasters. I expected more bitterness, but was surprised by the flavor. It was very creamy, smooth, and not bitter, just not very sweet. Thumbs up from me, but thumbs down from hubs only because he is not a bittersweet chocolate fan. Mmmmm. Truffles. These dark chocolate truffles include ingredients like olive oil and creme fraiche. Very creamy and a nice flavor. Also really pretty with the flowers on top. 2 thumbs up and our fave of all the chocolates! Overall - a delightful chocolate tasting!! These are some high quality chocolate bars and truffles. I might be getting spoiled - fake chocolate is starting to lose its appeal (I have never been a chocolate "snob"). Thank you Chocolate.com!! 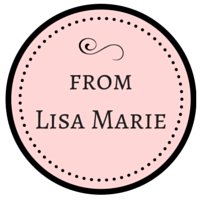 Delicious chocolates, great variety, pretty packaging, and good customer service! 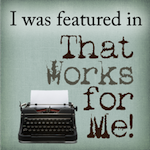 By the way, if you sign up for the Chocolate.com newsletter, you'll receive a free $5.00 gift certificate! 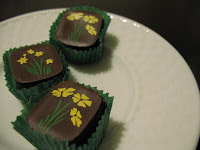 OK - your turn to share chocolate! I know you've got some! Go find a chocolate post or write one or find some chocolate pics and link them up below with MckLinky. Have a wonderful chocolatey Friday! Big get out there and introduce yourself to that truck drivin' man and get non melted chocolate next time size hugs to you! 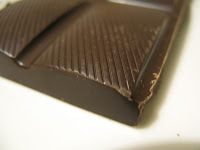 I have this blog on my sidebar, but I keep avoiding looking at it...chocolate is my biggest vice, and I can't say no when I see it, smell it, or hear of it...have to have it! So now that I'm here, I guess I'll check it all out, while my mouth waters for some chocolate...hmmm...I have some semi sweet pieces left from my last binge...I'm off to hunt them down! 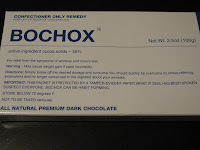 I think I would buy the Bochox just for the packaging! Perfect gift for someone who needs medicinal chocolate. 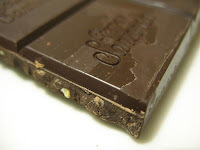 I LOVE Chocolate.com and blogging for them. So glad you enjoyed all the chocolate!! What a super opportunity! Love it. 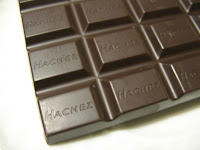 I have a company called Haute Choklet (hautechoklet.com). I'd love for you to review my famous double dipped chocolate covered oreos with creamy chocolate, chewy caramel, topped with mini chocolate chips.